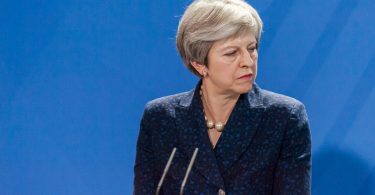 It is this persistent but transparent duplicity – transparent in the sense that a 2-year old child could see through it – which has destroyed the credibility of the Prime Minister and eliminated any trust in her on the part of her country, her Party, or for that matter the EU leaders which whom she tries to negotiate. So which is right? 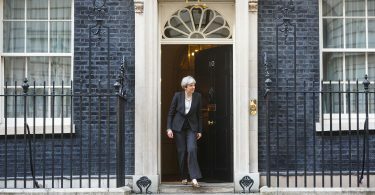 In this instance on whether her deal will force the UK into a customs union, what senior ministers led by David Lidington told the Labour party is true and what the government has been telling Conservatives and Brexit supporters is not true. As I explain in a recent article, the backstop Protocol itself is a customs union, so if we cannot do a long-term deal with the EU, then we will automatically fall into it and will be stuck there until the EU lets us out. And the Political Declaration which sets out certain aspects of our long term relationship requires the UK to submit to a customs arrangement built on the backstop, and rules out a conventional Canada-style Free Trade Agreement. 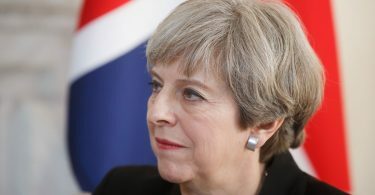 Moreover, the legal linkage between the WA and the Political Declaration means that the EU will be legally entitled to require the UK to enter the backstop and stay there indefinitely if the UK tries to secure a long term agreement such as a free trade agreement which departs from the Political Declaration. But there is another aspect of the Withdrawal Agreement which it seems the government has not been so keen to explain to the Labour party. That is its provisions on State aid controls. These controls would fully apply during the transition period, but then the UK would be compelled to carry on applying EU rules on State aid even after we have left the transition period as part of the backstop. The EU Commission would “supervise” the way the UK’s CMA carries out its task, and in practice could block State aid approvals. We would continue to be bound by the judgments of the ECJ on the ever expanding scope of EU state aid rules. But deep worry about a foreign power exercising these State aid controls over the UK should not be confined to socialists intent on subsidising and nationalising industries. They strike directly against pro-competitive tax policies introduced by the Conservative government. 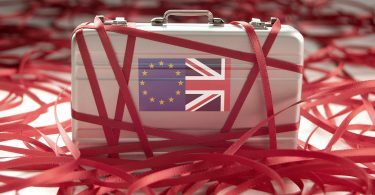 On 2 April, the EU Commission announced a finding that the UK’s “controlled foreign company” tax rules breach EU state aid rules. This has been greeted with a Sunday Times headline: “Brussels lands FTSE giants with £1bn tax bill”. 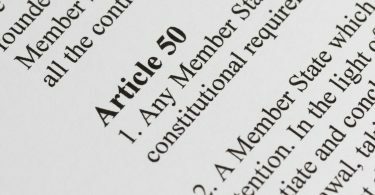 The absurdity of this situation is that if Theresa May had not chosen to exercise prerogative powers in a legally questionable and constitutionally unacceptable way to extend Article 50, we would have left the EU on 29 March and the EU Commission would have been powerless to make a finding against the UK on 2 April. As it is, the Commission will be able to pursue us on this issue for as long as we stay in an Article 50 extension. If we were to agree to Theresa May’s Withdrawal Agreement then the Commission could carry on pursuing us throughout the transition period and indeed would be entitled to bring a case against us in the ECJ up to 4 after the end of the transition period. It is impossible to understand why a term so detrimental to the UK’s national interest was ever agreed, in what must amount to the most incompetently conducted negotiation in the history of the world. 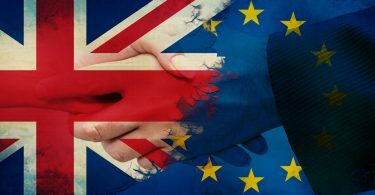 Can we get out of a customs union? This is a very important claim, and it needs to be looked at very carefully before it can be accepted. A normal customs union treaty, like all trade treaties, would contain a notice clause – so we could leave a normal customs union agreement if we wanted to. But the problem is and remains the Withdrawal Agreement and its backstop Protocol which, as Geoffrey Cox rightly acknowledges, allows the EU to lock us in indefinitely. If the Prime Minister’s proposal were to strip the backstop Protocol out of the WA and replace it with a customs union agreement with a notice clause, then what Geoffrey Cox says would be true. However, it seems that that is not what the Prime Minister is proposing. She apparently wants to keep the legally binding WA and backstop Protocol, and to appease Corbyn, to add an explicit commitment by the UK to enter into a long term customs union agreement on top of that. And why, in those circumstances, would the EU agree to include a normal notice clause in the customs union agreement? That would provide to the UK an escape route from the Irish backstop which would be blindingly obvious to the EU. So instead of a normal notice clause, they will insist on a clause which reinstates the backstop Protocol if the UK drops out of the Customs Union agreement. The EU will argue that this is necessary to protect the peace process, etc, etc, etc, if the UK ever decides to leave the Customs Union. If we agree the deal, there does not seem any legal way of preventing the EU from insisting on this. Our negotiating position will be incredibly weak, given that if we do not agree to the terms they insist on for the future relationship agreement then we will drop automatically into the backstop Protocol and stay there indefinitely. From the EU’s perspective, it is hard to see why they would ever give up the backstop Protocol if we are foolish enough to agree to it becoming binding. It will act as a permanent dog-leash with which the EU can restrain the UK’s international trade policy and competitiveness, which sill sit behind any trade agreement we do with the EU. If the Attorney General wishes to persist in making claims that “there’s nothing to stop us removing ourselves from” a customs union, then he needs to explain exactly how we can escape from the backstop trap. This illustrates the fact that the real poison in the deal which Theresa May has negotiated with the EU is the legally binding WA and its backstop Protocol with no unilateral exit clause. It makes a deal which is pretty rotten end to end totally unacceptable because we cannot escape from it. 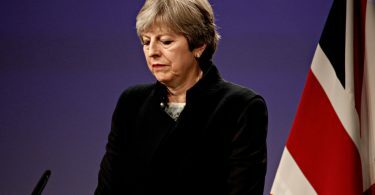 For inexplicable reasons, she seems determined to persist in inflicting this unprecedented treaty on the United Kingdom, regardless of the form of the future relationship with the EU.